We are very happy to announce the release of what could be our best update to our tracking platform yet, custom tracking domains. Have you ever tried to setup a PeerFly ad campaign and have the traffic source reject your advertisement because the link was blacklisted or marked as spam? This happens pretty often on a variety of different traffic sources (Facebook, Bing Ads, and BuySellAds for example). The issue is that these companies do not really have a problem with every single affiliate offer we have on PeerFly; they have simply had too many complaints about various campaigns that have been setup using our default tracking domains. There have been ways around this that publishers at PeerFly have been using for years. For example, you can use a meta refresh and get your PeerFly affiliate link approved on Bing Ads. Having to create a way around this issue is not the most convenient thing for you as a publisher though and it’s our goal to provide you with all the tools necessary to be a successful publisher with us. So, we now allow you to setup your own custom tracking domains. A custom tracking domain is a domain you own that you can use to promote our affiliate offers on PeerFly. This can be any domain that you own. By setting up your own custom tracking domain, you are able to start with a clean slate and promote our offers without having to worry about our domains being blacklisted. In your PeerFly Dashboard menu you will now see a “Tracking Domains” link that you can click to be taken to your tracking domain panel. Within your panel you can see your current tracking domains (a few of mine are shown in the screenshot) and add new ones. You can add as many tracking domains as you want and the process is fairly simple. WARNING: DO NOT use a domain that you are currently using for a blog or website as your custom tracking domain. Click the Add A Domain tab and you’ll be shown the form to add your domain and instructions. You must replace all the A records on the domain with the PeerFly A records listed. It is important that if you have changed the nameservers on your domain before, you will need to change them back to the defaults set by your registrar. Open the Domain Details in GoDaddy for whatever domain you want to use as your custom tracking domain. Click on the DNS ZONE FILE tab and you will see the very tab where you can add and update your A Records. 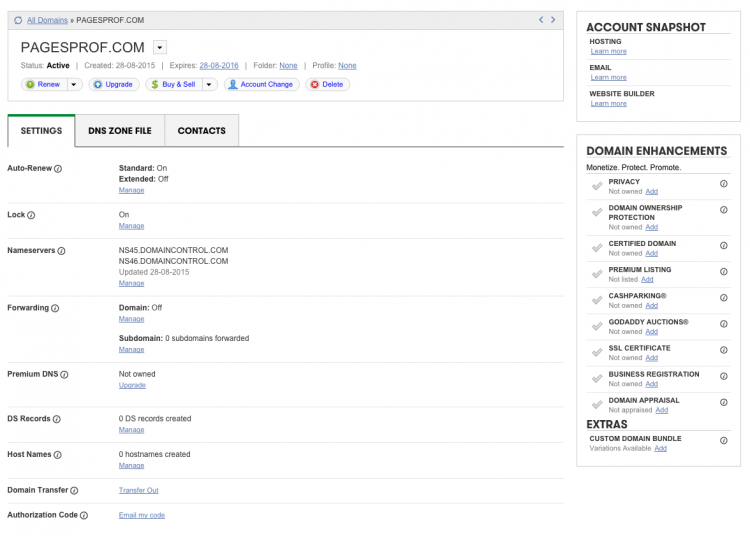 Add the record IPs shown on the Custom Tracking Domain page (also shown in the screenshot above). 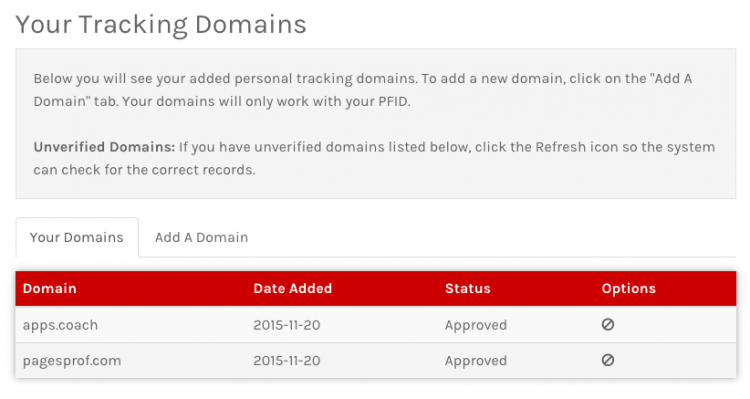 Once your records update you can add the tracking domain to your PeerFly custom tracking domain panel! Another popular domain registrar is Name.com. To update the A Record in Name.com, simply open your Name.com domain details page for the domain you would like to update. Click on the DNS Records tab and you will be taken to the page where you can update your A Records (shown below). Once you add all the Records and your domain updates, you can add the domain to the PeerFly custom domain page and start using it on your affiliate campaigns. Once your domain A Records have updated and you have successfully added the custom tracking domain to your PeerFly account, you can start using it with your campaigns. Simply go to the offer page on PeerFly for the offer you want to run and when you scroll down to your Affiliate Link you will now see a drop down where you can select whatever tracking domain you want to use. Select the domain you want to use and your Affiliate Link will automatically update the domain for you. Copy and paste your Affiliate Link into your traffic source or tracking software and you’re all ready to go! It’s important to note that you can only use the custom tracking domains that are setup on your account. For example, you cannot use my tracking domains I have shown in the examples above with your affiliate link. We have also turned off all geo-redirects on custom tracking domains. If someone from outside of the offer’s Allowed Countries clicks on your affiliate link with a custom tracking domain setup, they will be taken to a blank page. We believe this will help keep from getting your custom tracking domains blacklisted by traffic sources. We encourage all of our publishers to setup their own custom tracking domains for their campaigns. This is a great way to help decrease the potential friction between you and a traffic source and it opens up the opportunity for you to make more money! Let your Affiliate Manager know if you have any questions. Let’s make some money! This article is really useful for me. 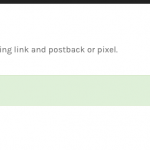 I successfully connected my domain on my peerfy account and It shows generated affiliated link. When I open link original offer (Affiliated link) It opens in browser. but affiliated link with my domain does not load in browser. Is there something setting I have to manage? Or any help please? How safe is this setup? Can Google figure out its affiliate offers? As a newbie i have always had issues setting up a custom tracking domain with peerfly. Can u only promote one offer per domain or? Please let let me know if you have any other questions. Click Check DNS Records as seen in the below image. This is just a link cloaking method, one that will fool no ad network. Bing, Adwords or Facebook, will check manually the destination page, so I am not sure what you try to accomplish. I see you mentioned some used meta refresh before to accomplish the same thing. I highly doubt, because sooner or later the campaigns are manually inspected and the moment you are discovered you will get your campaign banned and your account may face the same thing. Also, you mentioned :”The issue is that these companies do not really have a problem with every single affiliate offer we have on PeerFly” which is incorrect. All of the companies mentioned by you clearly state they don’t accept affiliate links of any kind. Not sure why you guys build things that are clearly doing one thing: try to cheat ad networks! Hey Peter. I appreciate your concern. However, we are not trying to fool any ad network. When the ad network representative goes to your PeerFly affiliate link (with or without a custom tracking domain), they will be taken to the landing page for the offer you are trying to promote. Cloaking the link is a mischievous method used to trick the ad network into approving your link by taking them to a completely different landing page than what you want to promote and then changing to the real landing page once your ad is approved. When the ad rep takes a look at your link to review it for approval, they’ll be taken to whatever the offer is you are trying to promote. The same goes for the meta refresh method I’ve been teaching for years. I’ve used meta refresh on all the networks I have suggested publishers use it with and never had any issues. The ad networks I referenced do not have any issue with affiliates. The issue is the products some affiliates try to promote on them as well as how they promote them. It’s not our intention to ever cheat ad networks. They are how we make the majority of our money. As a beginner I have no knowledge about all these but I own a blog which is why I signed up with peerfly hopping to promote offers on my blog but right now am getting more confused everyday with peerfly policy. E.g my custom creative banner has been approved, instead I want to use contextual promotion on my blog, I coppied the affiliate link to my blog and I started the promotion, if you click through the link on my blog it will take you to the offer landing page and what I want to promote is for ppv and the offer allows ppv in all countries. Yet all the traffic I have been getting there is not generating any money to my peerfly account I contacted my peerfly manager severally to know if what doing is wrong or not. But she don’t wanna hit a reply back. Maybe is there anyone that can full details of how to use peerfly and promote offers on my blog, please I will appreciate and I will pay for the service. Thank. Luke kling I will be honoured if you say something that can help me. I’ve sent you an email regarding the domain you are adding. Regarding meta-refresh please checkout https://en.wikipedia.org/wiki/Meta_refresh. It’s a way to redirect your website to another website or page. Hello I am wondering if anybody has tried this with facebook yet? I used to cloak links and do meta refresh with facebook but it has been banned for months now. Every time I try it just bans the domain I am using. So I am wondering and hoping that someone has tried this with facebook. Not just facebook ads but also on facebook groups and such. 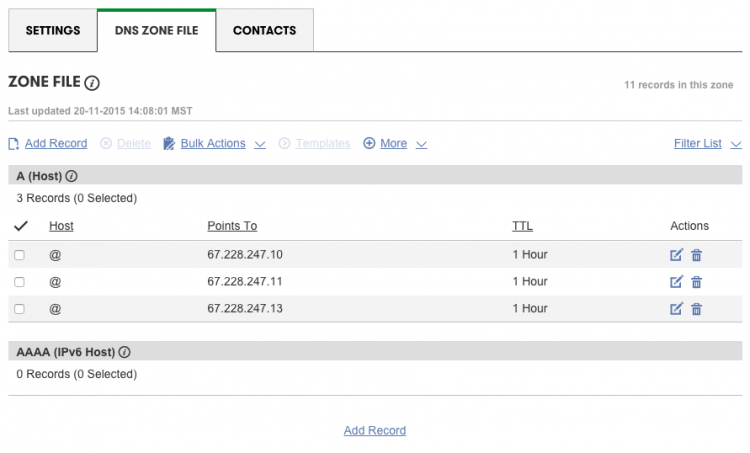 I just setup my Beyond Hosting by adding the record IPs A record and linked my tracking domain with PF. Hoping this will solve the problem. Hmm.. doesn’t seems to work. Please advice for Beyond Hosting under DNS Management, what should be the host name be? I Transferred hosting from ..Dreamhost ..To Namecheap some time ago, And I made the necessary DNS changes (67.228.247.10, 67.228.247.11, 67.228.247.13 at Namecheap is this correct beings that Dreamhost will always remain the registrar? Or do I need to go To Dreamhost ? Is DreamHost your original domain registrar or did you just use them for hosting? If you purchased the domain through DreamHost did you transfer the domain to NameCheap or just your hosting? hey ho do i remove custom domain ? i did but still unable to see changes affected ? You can remove the custom domain on https://peerfly.com/pubs/domains.php by pressing . You’ll also need to remove the A records through your registrar. I still think that people should consider using their own domain and hosting to avoid this, but that’s just me! Kudos to Peerfly for stepping up on this! Thanks Chris. A few advantages for using this feature is you won’t have to worry about iframing or creating an LP if you don’t need one. Also, there’s less redirects involved which means a higher CTR. We also allow subdomains! how can I manage that in cpanel? This is awesome! I just wish I didn’t already have redirects set up manually on the domain name I want to use for this…kind of a pain, but it’s totally just on my end. Ah well. I have others. 😀 Looking forward to trying this out! Hey can you post me some instructions on just how to go about using this with a sub-domain? I got it working with my website address, but I’m a little unsure of what to do in order to be able to use it with sub-domains. I don’t have the domain name connected to any hosting, I just simply added the a-records. Since we need to set the Nameservers back to our Registars default settings, does that mean we can only use a subdomain on our registars hosting package or is there another way to go about adding subdomains? after the tracking domain, I have to hide the link of offer in facebook? they did not accept an offer after the tracking domain. this would be the problem? It’s not just about verifying that you own the domain. Changing the A records is the only way that tracking will work correctly. Can i used 1 domain just for 1 offer at the time , or can be for severals offers?? I am trying to change the Host record on NameCheap, but there’s an extra field “Target”, what am I supposed to put there because it won’t let me save and continue? Hi! I have replaced the A record with PeerFly records and the domain is verified now, but when I’m trying to use it I see only white screen… Please help me, is there a problem with PeerFly or it’s caused by domain registrar? The white page is normal if you are viewing an offer from a country that the offer does not accept traffic from. do I have to buy a domain to use it in peerfly as a tracking domain? if yes. can use a .club domain. Yes, you would need a purchase a domain. As long as you can edit t he DNS information then a .club would be fine. Hi, I am completely new to this, so if I cannot use my website’s domain as a custom domain, do I have to buy another domain and dedicate it as my custom domain? And when I get my custom domain set up with PeerFly, can I place my affiliate link configured with my custom domain on my main web site? I am sorry I may be getting things mixed up. it say do not use a domain that is already being used for an active blog…WHAT?? ill changed all my a record and still no..do i have to inactive that blog? Hi, sorry I just do not understand what is the difference between using this method and redirecting to the Peerfly affiliate link from our own domain? it is basically the same thing correct? When you use our custom tracking domain then the trkur domain is ignored completely. When you redirect through your own domain, it still goes to trkur eventually. Now I would like to know if I can use 1 domain for multiple offers or will I have to purchase a new domain for every offer? 1 domain is acceptable for every offer. I bought my domain from namecheap.com. But i have a VPS on a differnt hosting company and used my WHM to root login and add those 3 A name records. So why i cannot use my own nameservers? 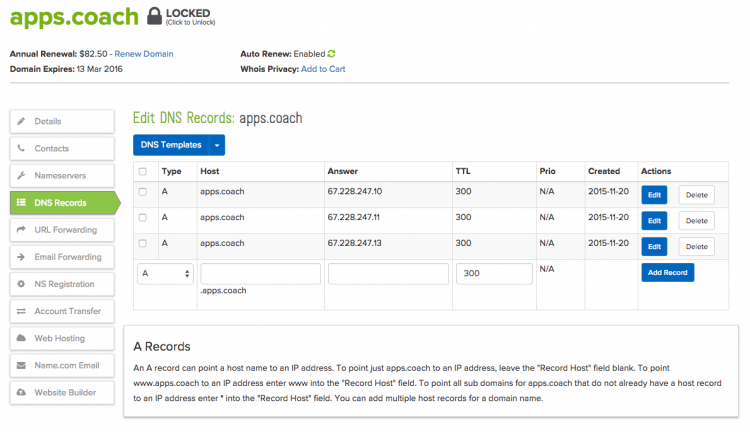 Adding the A records make sense but are you implying that you have a list of hosting registrars, like godaddy, name.com, namecheap etc..THIER nameservers and you don’t want to go adding every affiliates own nameservers to your list as it easier leaving the nameservers (that you have listed) as is and just add A records…correct? I think if that’s the case it is why mine wont verify as i have used my own nameservers…so i need to change them and use namecheap.com’s ones? But my domain is not hosted with them. And can/should I use custom subIDs when promoting on Facebook directly? If I do that, should I shorten the link like on bitly? I’m new here and I’m confused. So I can’t use my own websites that get traffic? I buy a new domain? So then what do I do? Send traffic just to a blank domain with no information on it? Do I buy a general type domain if I want to send different offers? I have travel & weigh loss websites so I wanted to promote those kind of offers. Do I get a travel related domain for the travel offers & a weight loss domain for the weight loss ones? You can use your website to generate traffic. The custom tracking domain is just so you don’t have to our use trkur.com links to promote the affiliate offers. You can use any domain as your tracking domain that you like. I am new here, can one use sub domain in order to promote several offers using one domain? This is something i was really looking for. I found a much easier method to customise your affiliate link that facebook or other websites cannot recognise and filter it. 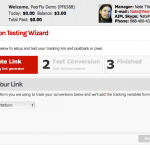 If you want to know the method send me an email quoting “peerfly customised link”. Any word on this method? Consider that I have a website in example.com, could I then use clicks.example.com as tracking domain? Do i need both domain name and hosting or do i need domain name only to do custom tracking domains? You just need the domain. any directions on how to point a hostgator domain to peerfly? You would just need to look at HostGator where you can add an A Record. This is probably in the same spot that you update the nameservers (DNS settings). How to add tracking domain from namecheap.com? You can find how to set an A Record with Namecheap here. and test it for offer is not work i get error massage. The domain 4-ae.com is no longer parked by GoDaddy. is it still possible to get hosting and put your own content on the domain if the A Records have been changed? If I don’t post content and somebody went directly to my domain after seeing it displayed in the browser bar, what would they immediately see? They would be redirected to a blank page if the link does have an offer ID, not your content. You should not use a domain that you are currently using for a blog or website as your custom tracking domain. 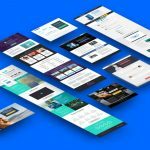 can i use weebly as a landing page? Likely a really dumb question, but once I have a Tracking Domain and the A records are pointed to PeerFly, how do I use that domain to promote a specific offer? In other words, what link do I put in Facebook ads so that it points to the correct offer I’m promoting? Your domain will automatically be applied as your tracking domain on the offer page and you can copy and paste the link provided. Can you help me please how can i approved my domain in peerfly.how can i add a custom tracking domain? i added a domain in peerfly but still not approved.i using namecheap’s domains. looks like you are not redirecting from the domain after the user arrived. My tracking domain is already approved but why it is not working? Why do you believe it’s not working? I am using the sourceid as my s1, but it is showing blank. Where do you see S1 showing up as blank? I checked your clicks and S1 isn’t blank. I am sorry, new with peerfly. I wasn’t looking at the first column. Hello there, I got my tracking domain approved and uploaded an html page to my own hosting server, but when clicking on the page it redirects to the trkur.com domain. What can be causing that? Thanks in advance. The tracking domains can only be used for tracking with PeerFly. You cannot host a file on them. Thank you very much Corey, I’m fortunate to have deep linking on the offer I’m promoting and no longer need tracking domains by now. Let’s have a great year having success with Peerfly! My domain hosts (I tried both godaddy and google) only allow one A record to be changed. I can’t add in 2 extra A records. It won’t let me. How do I fix it? For GoDaddy you have to click “ADD” on the Manage DNS page. You’ll then be able to add extra records. Wow, thanks for the guides for adding our own domain as Tracking, Just wandering is it possible to use a Sub domain for offers tracking insead of root domain? Can it be done? via cName or other records? Yes, set the same records but do it for the subdomain instead of the root domain. So, it sounds like an alternative way of Iframing offer? We don’t need to create any custom landing page for offer, right? We can use the custom Tracking domain to promote offers in FB ads / Adwords campaign? With sources like Facebook and Adwords, you’re most likely going to need to create a custom landing page to get a campaign approved. More on that here. Is there a guide for Voluum? Is it better use this or iframe? I recommend a custom domain since iframes do not always work. i don’t know what’s the problim!!! Your DNS is not correct according to https://dnschecker.org/. i Believe it’s because you are using your registrar’s PARKED domain feature. Remove that and try again. So all you have to do is change the domain? When it comes to the extension of your custom domain (.com, .net, .org., etc. ), is it preferable to have a .com over a Namecheap domain? I’ve seen websites blacklist entire domain suffixes (like the free domains & cheap ones). I’d like to know if experienced affiliates or AMs have experienced sudden-poor CTR performances in the life of their campaigns using Namecheap & other low-cost domains as custom trackers. 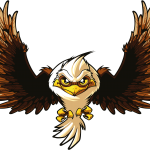 Please email your AM the domain you’re attempting to add to PeerFly and he or she can assist you with your specific issue. Yep, we can help you with that. Please email me, [email protected]. Can I use 1 domain just for 1 offer at the time, or can be for several offers?? 1 domain can be used for all offers. I was looking up for some guidance on setting up a custom PeerFly and landed on your blog post. Newbies will find this little difficult to set up. You can verify your domain by clicking the rotate icon on https://peerfly.com/pubs/domains.php. If you can edit the domain’s DNS A Records then a .tk domain should work. I just did my now thank to peerfly.